COPENHAGEN (Dec. 20, 2009) — The earth is already getting hotter. Climate change is a known fact. This already had been determined by the report of a panel of international climate scientists in 2007. Since the industrial revolution, the earth has become more than 0.5º C hotter. Even if the countries of the world were to commit themselves to the most ambitious reduction goals, the earth will still heat up by another 2º C by the year 2050. The influence of quantities of carbon in the atmosphere is suspended momentarily due to their continuous cycles, but eventually their influence will be felt. It is important to understand that the forecast of a rise of global warming of "only" 2º C is the most optimistic scenario and the chances of that being realized are slim. The probability of comprehensive, effective, dramatic action by the international community is not high and the absence of declared commitments of both the developed and developing countries could lead to global warming of at least 4º C, according to forecasts presented by senior scientists from Oxford University. Although formal discussion at the conference, especially those dealing with financing and exchange of technologies, already had addressed adaptation to climate change — in particular the desperate need of several countries to be prepared — this subject largely was ignored by many politicians who appeared to be in denial or concerned that even talking about adaptation may divert attention from essential efforts to reduce emissions or mitigate the damage of global warming. Of the Israeli environmental organizations and Knesset members who understood these problems, some had adopted a similar stance, ignoring the need to allocate immediate resources to prepare for climate change. The tactic is obscure but the ramifications may be catastrophic. In what seemed like a solitary voice, with the support of the Ministry of Environmental Protection, KKL-JNF emphasized at the start of the conference the need to reduce emissions wherever possible but simultaneously prepare for global warming. Scientists are united in the opinion that we must prepare for climate change, develop capabilities, minimize damage and act for the long term. But, it seems, Israeli politicians do not want to hear about this. Preparing in time will prevent loss of life. It also will prevent economic loss, the increasing social gap and payment of the primary economic burden of global warming by the weakest sectors of society. Signs of the future already can be seen in Israel, with the burden of the water crisis being placed on those beneath the poverty line who are being taxed for water, a basic commodity that they may not be able to afford. The bitter truth is that Israel will not overcome the climate crisis, but rather the country will be overcome by it if the government does not act to combat it. Israel will suffer from decreasing water reserves; rising sea levels may flood its coastal cities and collapse the coastal cliff; and an extreme worsening of its already arid climate may lead to further desertification. This message, however, does not necessarily have to be pessimistic. It is still possible to avoid the worst results of global warming if we prepare ourselves now. The example of Indonesia can provide us with inspiration. The installation of natural-disaster early-warning devices along Indonesia's beaches resulted, over the past year, in reducing casualties to a minimum. Israel already has the technological capacity, the accumulated experience and the social abilities to prepare for climate change, which is not the case for many countries with similar climatic conditions to ours. If Israel prepares in time and in the proper manner, it will not only save itself, but also could become a resource center, transferring information and technologies to developing countries to enable them to prepare for climate change. We refer to creating a system to identify weaknesses and vulnerability of each sector of the population to anticipated changes. Such farsighted public policy must create its incentives for the essential behavioral, technological and structural changes. 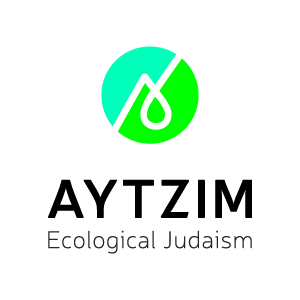 The scope of necessary adaptation is enormous but if correctly undertaken we are able to contribute to the quality of life and the environment in Israel — particularly by implementing the necessary steps for reducing emissions. For example, the time has come to build housing in styles that are adapted to the climate, to enable a reduction in the use of air conditioning. A multi-year development plan for the water economy must be promoted immediately, taking future lack of water into consideration. The future of Israel's agriculture and open spaces in times of water scarcity must be replanned. Building and development for areas near the coastal cliffs must be reexamined. These are only some examples of what the government must do in the very near future to ensure that Israel's standard of living remains stable. Preparing for climate change will be translated into accelerated technological development, enabling Israel to transfer technologies and advice to developing countries. For this reason, KKL-JNF joins the call of the minister for environmental protection, Gilad Erdan, and the chief scientist of the Ministry for Environmental Protection to establish a national center for adaptation to climate change in Israel. We should not forget that in fields such as water recycling and afforestation in arid and semi-arid areas, protecting the land and creating local cooling pockets, Israel already has achieved noteworthy prominence. The time has come for our leaders to tell us what scientists have determined long ago. The time has come for our leaders to tell us the truth, which is that today we must begin to pay the price of climate change and the sooner we start paying, the better it will be. We must demand that our leaders fight global warming without compromise, but at the same time, prepare for global warming as though the struggle may fail. Dr. Orr Karassin is a Green Zionist Alliance representative to the board of directors of Jewish National Fund in Israel. "We must choose in this tradition the elements that constitute closeness to the soil, hallowing worldliness, and absorption of the Divine in nature; and reject in this tradition the elements that constitute remoteness from the soil, detached rationality, and nature's banishment from the presence of God. " 60% of Israel's nature reserves are smaller than 1 square kilometer.